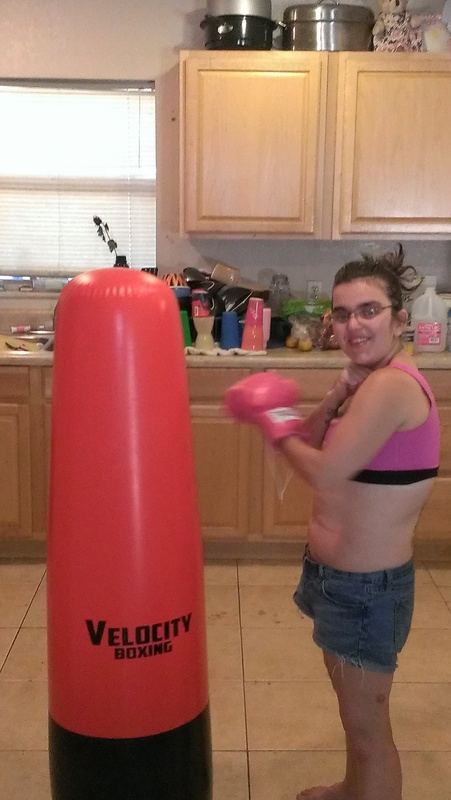 I am a mommy and I am trying to work out, so when I applied for the Velcocity Boxing Big Size Inflatable punching bop or as I call it a bag! It is 56 inches tall, as I am 4’11 and it is a little bigger than me. Set up is very easy, it comes with a pump to pump up the bag, In the bottom you can fill it up with water or sand. We ended up using kitty litter that we had from the cat we used to take care of, As, a beginner to working out this is perfect, for smaller height individuals. My husband has a huge punching bag and I am so short I can not reach it to get the work out I need. This is great for children as well to get their anger out or teaching them self defense. I can honestly say there isn’t one bad thing about this product. It’s durable, thickness and lightweight. I will most definitely recommend this to others and may purchase a few for friends and family.